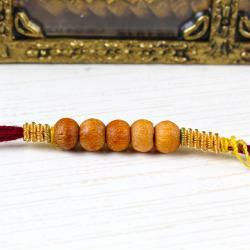 Sandalwood Rakhi with Zardosi work on Thread along with Packet of Roli Chawal. 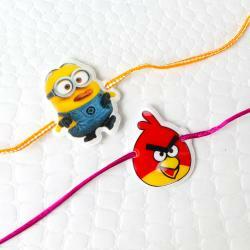 Raksha Bandhan is a celebration of one such relation - that of a brother and a sister. Wish your brother all the best on this special day which only comes once a year. It gives us a chance to express our feelings for our brothers which we cannot say in words sometimes but of course we can show through this. 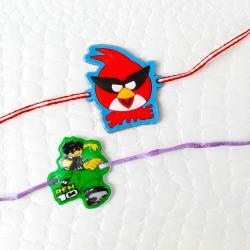 Express your feelings of love with a special rakhi. 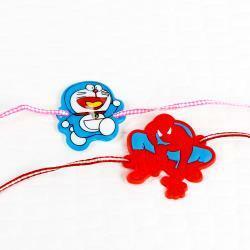 Check out our amazing rakhi collection with unique and classy rakhis. 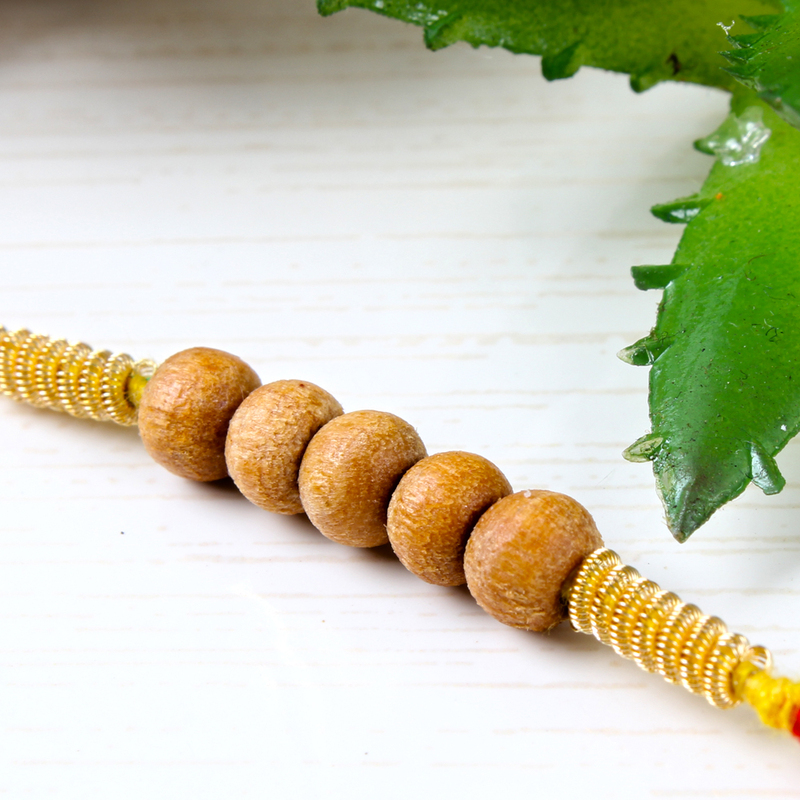 This rakhi is woven with zardosi work thread and adorned with sandal wood beads. 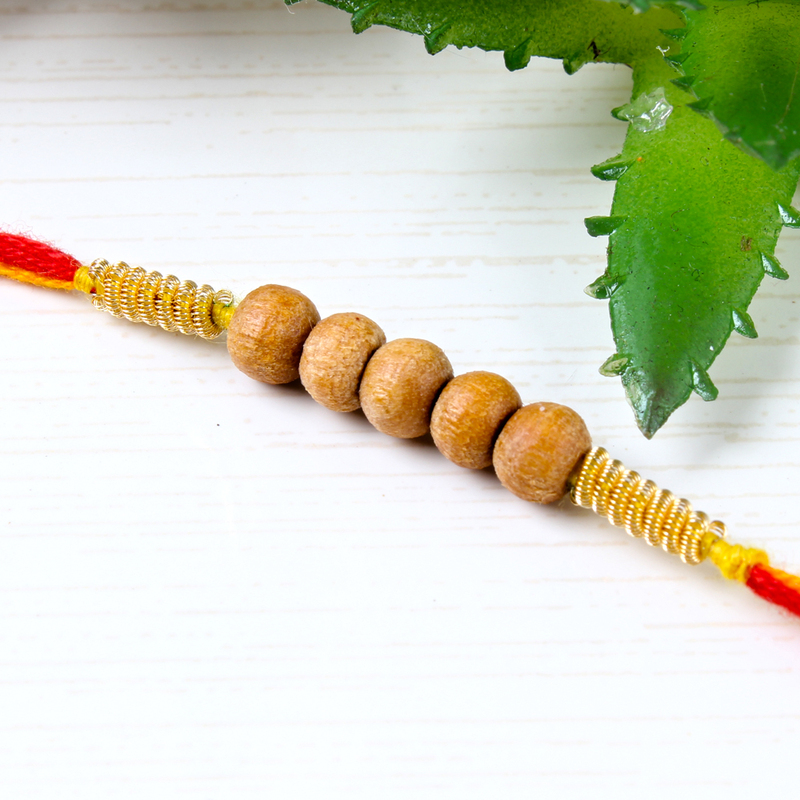 Choose to gift this Rakhi on Raksha Bandhan and give your brother a surprise that he will never forget. 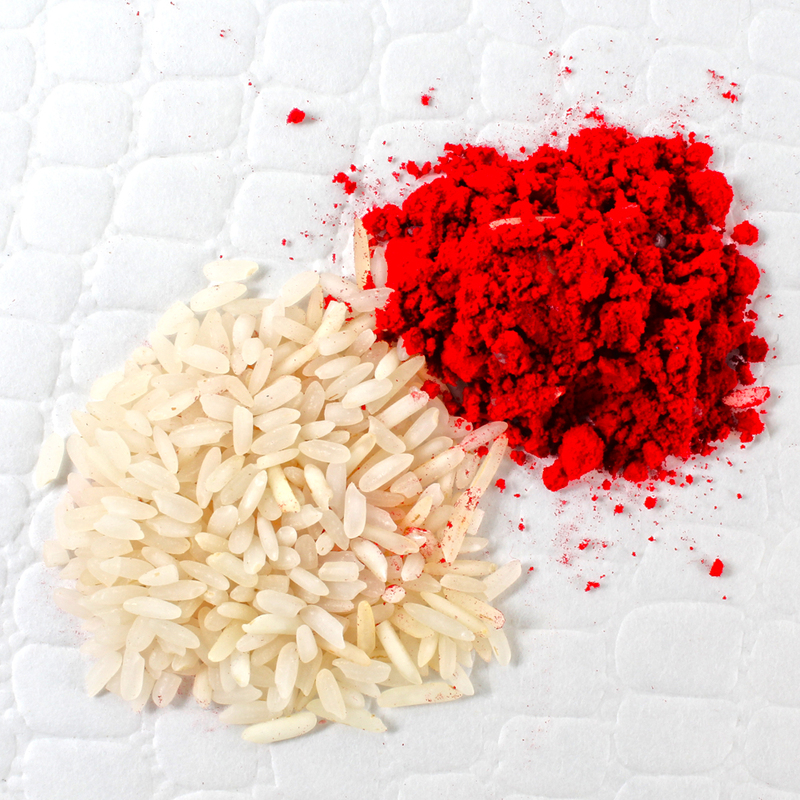 Product Includes : Sandalwood Rakhi with Zardosi work on Thread and Packet of Roli Chawal.